After a week of nearly daily hardware updates leading up to today, Apple finally unveiled its software news with an onslaught of new subscription services. 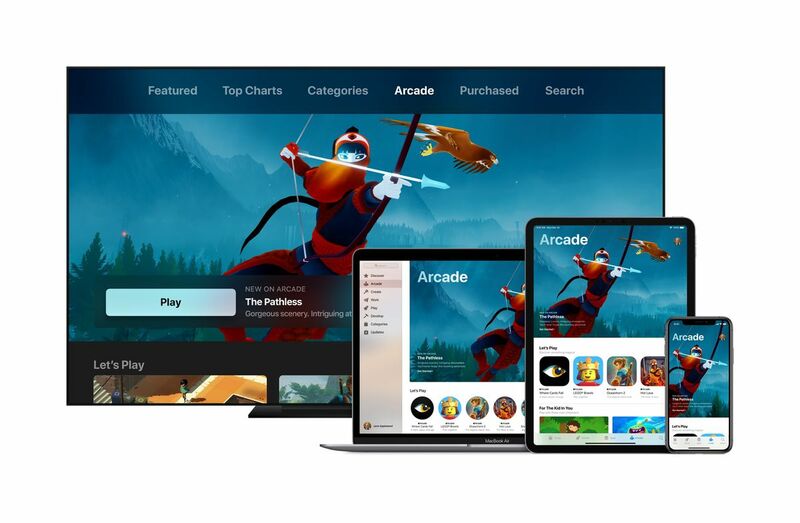 Today brings Apple subscriptions across news, television, and video games just a week after Google unveiled the Google Stadia at the Game Developers Conference. Today’s keynote also brought a new business venture for Apple with a new credit card service. All of the above services highlight privacy as Apple’s key differentiator, with each product noting that there will no ads, and your consumption behavior will never be shared with marketers. Interestingly enough, many of the products announced today did not receive a live onstage demo, and most will be available much later this year. Here’s a recap of the biggest announcements from today’s event. Apple is adding magazines to the Apple News lineup with Apple News Plus. The $9.99 monthly subscription is available today in the US and Canada, and the price covers family sharing. The first month is free. Apple News Plus displays magazines with a new “Live Cover” presentation, lightly animating the covers for an interactive look and feel. Underneath the cover, highlighted stories are listed with blurbs, and the service recommends stories you might like even if they’re from magazines that you don’t typically read. You can also browse through magazines you subscribe to, and new issues are automatically downloaded for offline reading when they are released. At launch, subscribers can access up to 300 magazines. Other digital and traditional news partners are part of the service as well, including The Wall Street Journal and Los Angeles Times. Apple touts privacy in its app, noting that advertisers can’t track what you’re reading so you won’t receive targeted ads based on stories you click on. 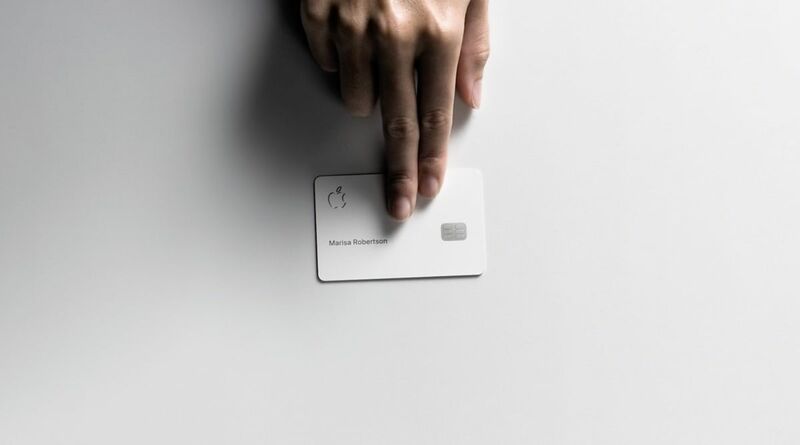 Apple is following Amazon’s footsteps into the credit card scene with the new Apple Card. Unlike traditional applications, you can apply directly on the iPhone and, once approved, the card is stored digitally on the Wallet app where you can view your statements, balance, and payment due dates. The app also tags locations and retailers to help you browse through transactions and remember where you may have made that purchase. The card also generates new security codes each time you make a purchase. It doesn’t even have a credit card number, CVV, signature, or expiration date. (You can generate one, though, if you plan to buy something from a site that does not yet support Apple Card but takes 16-digit credit card information.) Details on what you’ve purchased are also stored locally to, again, prevent potential ad targeting. The iPhone was never high on the list of what you’d consider a traditional gaming device, but it’s hoping to change that with the new Apple Arcade gaming subscription service. Unlike cloud gaming services announced by Google last week at GDC, Apple’s version is more like a subscription to games that are available through the App Store instead of traditional titles that you can play on sets like the PlayStation, Xbox, or Nintendo Switch (unless, of course, the game is also offered on iOS). The company did not disclose the subscription fee, but it says that it will include access to more than 100 games that are exclusive to iOS. You can also play games across Apple devices, including the iPhone, iPad, Apple TV, and a Mac computer, and games will be available for offline play. The new Apple TV update will now include a focus on channels like HBO, PBS, CBS, Acorn TV, and Tastemade without punting users to a third-party app. Called Apple TV Channels, subscribers can choose which channels they’d like to subscribe to and pay per channel instead of a traditional, large package from cable companies. However, pricing was not shared during the keynote. The Apple TV app will receive an update for Channels this May. 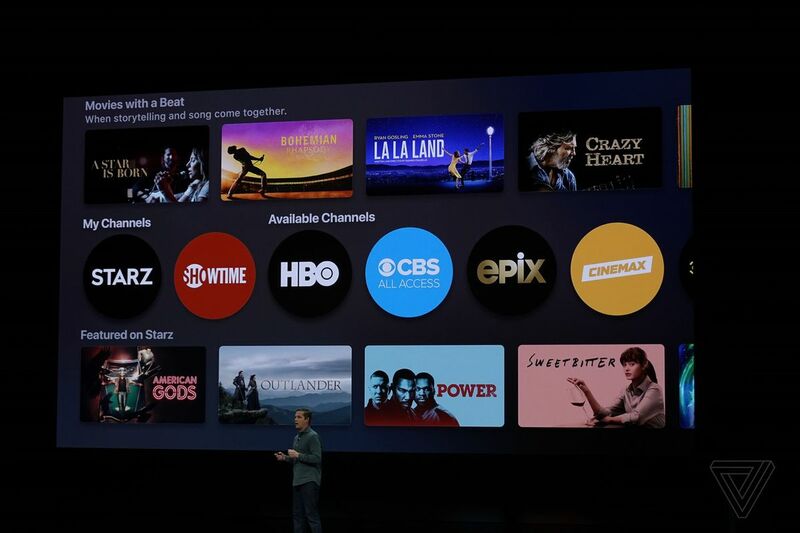 The app will also come to the Mac in the fall, and it will be available through smart televisions, Roku, and Amazon Fire TV starting this spring. Support will expand to more than 100 countries, but the company did not specify a regional launch timeline. And also... Apple TV Plus! In addition to the new Channels service for the Apple TV, there’s now also a Plus package for original programming. Unfortunately, Apple didn’t announce a lot of details other than the name and that it will be available in the fall with online and offline viewing. It spent the rest of the time introducing a gaggle of directors, actors, and actresses to help unveil Apple TV Plus, including Oprah Winfrey, Reese Witherspoon, Steven Spielberg, Jason Momoa, Steve Carell, Alfre Woodard, Sesame Street’s Big Bird, and Kumail Nanjiani. Famous people laughed. Famous people forced everyone to participate in a light ASMR. Sara Bareilles showed up and sang. Ultimately, we didn’t get any trailers for any of the individual shows these celebrities came to tout. There will be original programming that includes documentaries about immigrant life in America, science fiction about a world where inhabitants are blind, and children’s programming featuring Sesame Street characters. Oprah will have two documentaries highlighting workplace harassment and mental health. I guess we’ll see more trailers in the fall.